November is already turning out to be one of the best month’s of 2015 – and it hasn’t even happened yet! 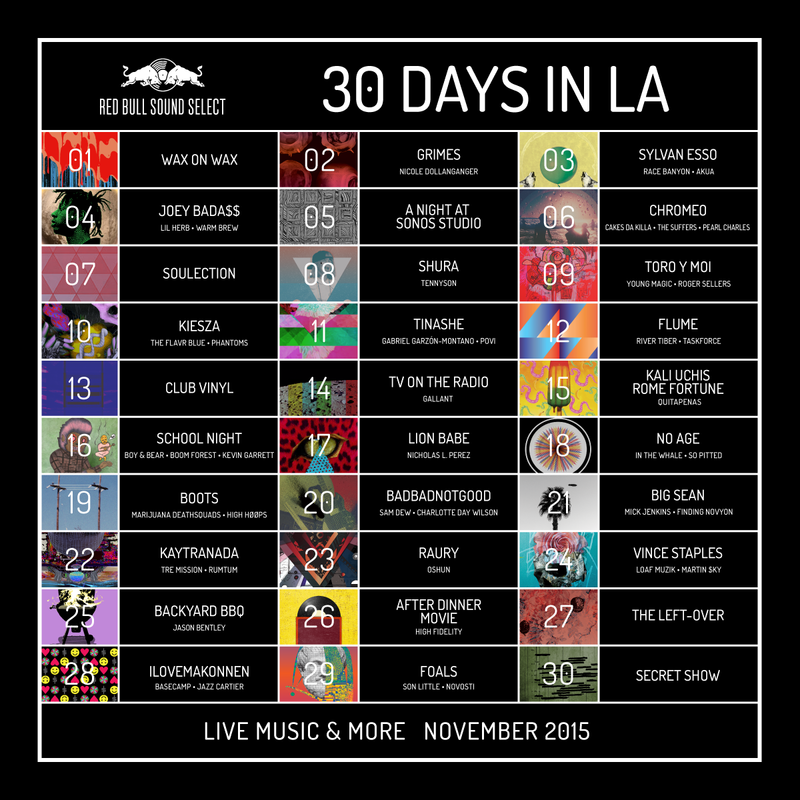 Thanks to Red Bull Sound Select, they’ve mapped out and organized a month long music event that spans the different neighborhoods and venues in Los Angeles. If any indication of last year’s “30 Days in LA” success replicates itself this year, then we are definitely in for a real treat. Opening up for the month is Wax On Wax – a veritable vinyl head’s paradise featuring DJ sets from Al Shaheed Muhammad, DJ Drama and Tuxedo! Hit the jump for all the details how to attend Wax On Wax! To celebrate the launch, grab your friends and head to Hollywood Boulevard tomorrow for Wax On Wax. It’s about time we had a day to celebrate and dedicate all things vinyl. And what better location then the infamous Madame Tussaud’s wax museum. That urge to take a picture with Angelina Jolie’s wax figure is calling you bruh. Here’s what we know about the event so far: 4 stages curated by Afropunk, Fake Shore Drive, Score More and Sub Pop. Notable DJ’s will include Ali Shaheed Muhammad (A Tribe Called Quest), Tuxedo (Mayer Hawthorne and Jake One), DJ Drama, Ishmael Butler (Shabazz Places), Sonny Digital (Fake Shore Drive) and more. And if that isn’t enough to convince you, there will be live vinyl pressing, record swap meet and pop-up stores from Amoeba Music, The Record Parlour and Origami Vinyl. Doors open at 5pm and is 21+. So what are you waiting for? RSVP now for a FREE ticket and while you’re at it, check out the rest of events they got lined up!